Our unique technology empowered by wearable tracking devices will disrupt the lopsided weight loss market and stop the obesity epidemic. FIM Systems is developing and commercializing the world’s first consumer Personal Eating Tutor (PET) device. PET device provides tracking, analysis, and immediate feedback for food ingestion. Overeating due to fast and mindless food consumption is the dominant cause of obesity. PET Device modifies obesogenic ingestion behaviors by easing the user into healthy eating. FIM Systems business plan is simple with a clear-cut revenue model. Dr. Nedvetsky is a vasty experienced medical practitioner, scientist, and entrepreneur who worked for big corporations (JnJ) and small startups. 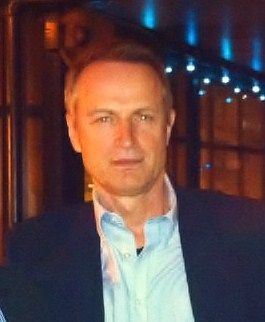 Before creating FIM Systems, he was a confounder of two startups: clinical-diagnostic startup “Medline” in Moscow, Russia and SecondOpinion.com in Dublin, CA. As a co-founder of Stream11 Corporation, I am defining software architecture and creating software prototypes that meet challenging scalability, security, and performance requirements. Big part of my job is to make sure that solutions architecture is well documented and perfectly understood by all members of the development team, including the offshore team.